Can you believe that November is over? Worse yet 2011 is almost over too so today I want to send a little love your way. 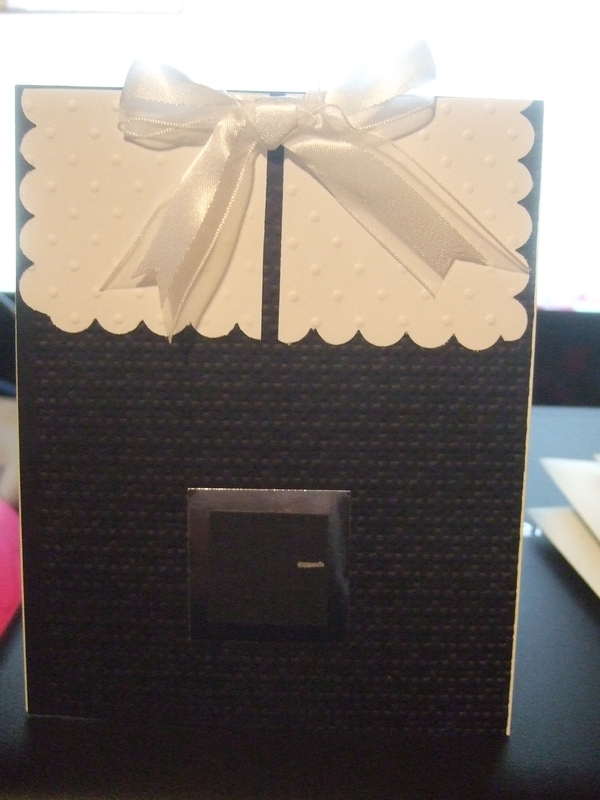 I love this very cute and simple card using the Easy Events stamp set # 123225. This is a set that I received at the StampinUp convention in July. I kept pulling the set out and wanted to use it but never had success. I saw a card online that inspired me to bring the set out again and I was pleased with the way it turned out. One of 3 sisters 2 stamp favoite Stampin Up Big Shot dies is the Top Note and today the Top Note die is showcased to make these simple and darling purses. The top note is scored and folded approx 1 1/4 inch from top,add a cellophane bag , filled with candy,coordinating DSP and a ribbon and you have a very cute treat that can be dressed up for any occasion. 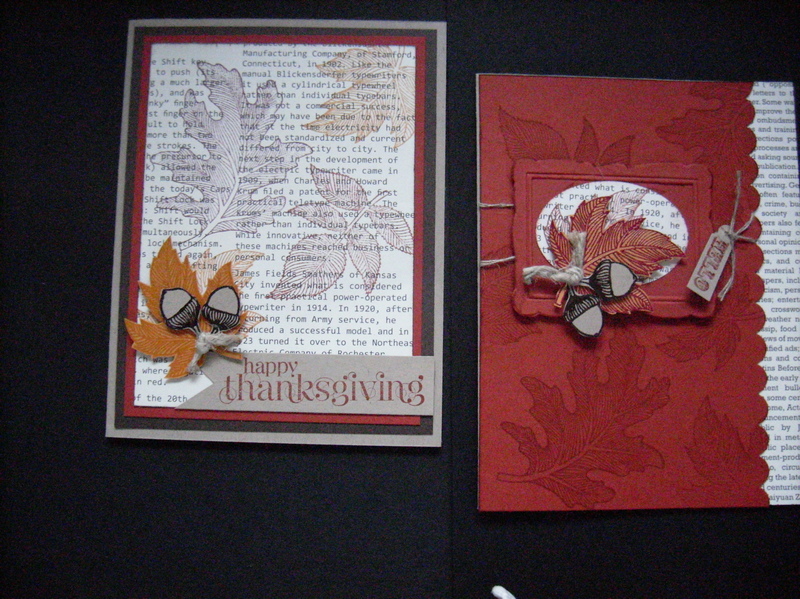 Todays post is Cammies Thanksgiving cards. 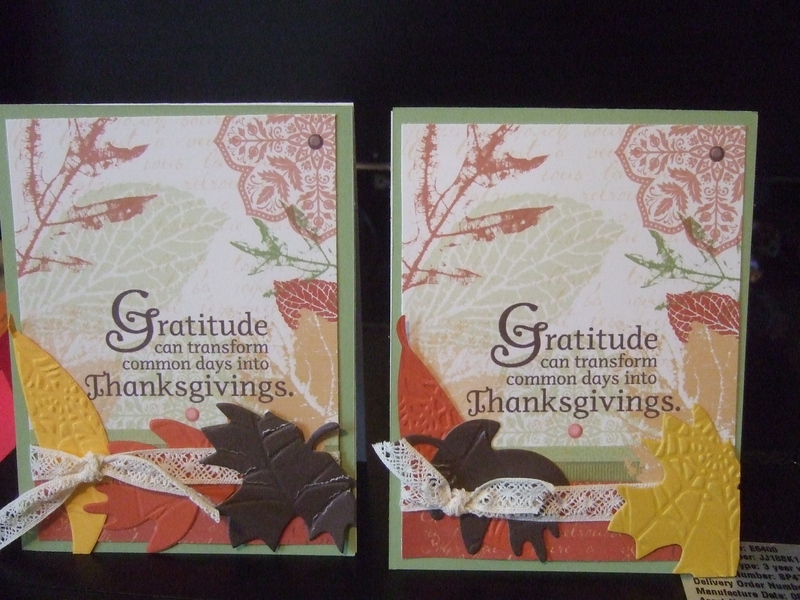 The cards are similar and heavy stamping using the Autumn Splendor #116503 and the Thankful for stamp set. The First Edition DSP is a great medium for stamping. 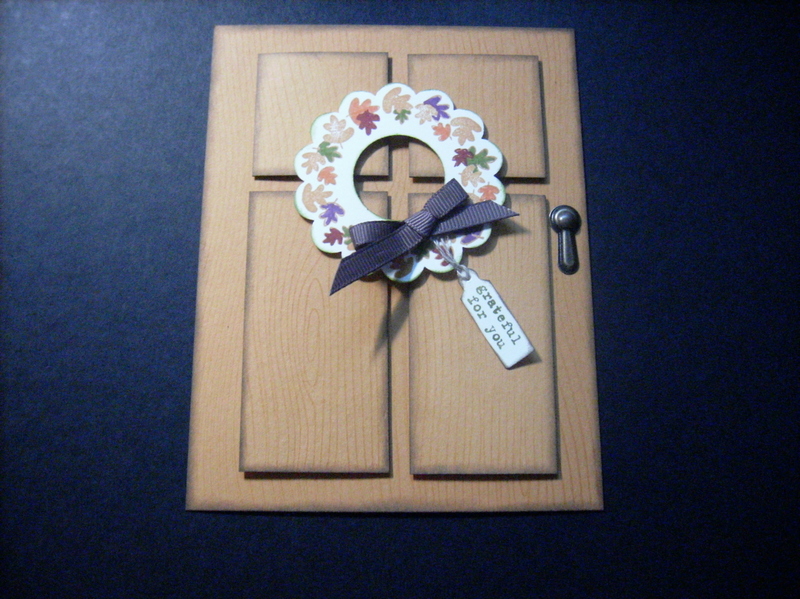 Both Yvonne and I loved the simplicity of Cammie’s red door card from yesterday’s post that we were inspired to create a fall door. Funny these cards turned out very similiar. Thanks Cammie for the inspiration. 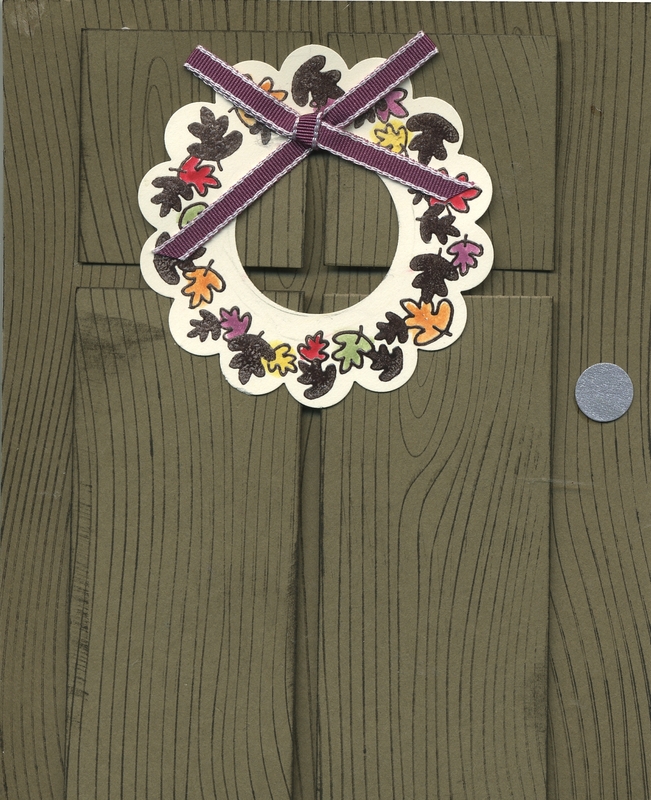 Thre wreath on both fall doors was from the Warmest of Wishes Hostess stamp set #122672 from the Stampin Up Holiday mini. It’s the 25th and that means a Christmas post. Oh what fun— 29 Shopping days until Christmas so it is a super busy time to get all the holiday cooking, crafting, decorating shopping and wrapping done in time for the big day. Today we are posting a bunch of cards that our fellow sistah crafters for the Christmas challenge.
. Yvonne Crook’s card is the triple tree card using the pennant punch and textured with the petals a plenty embossing folder. 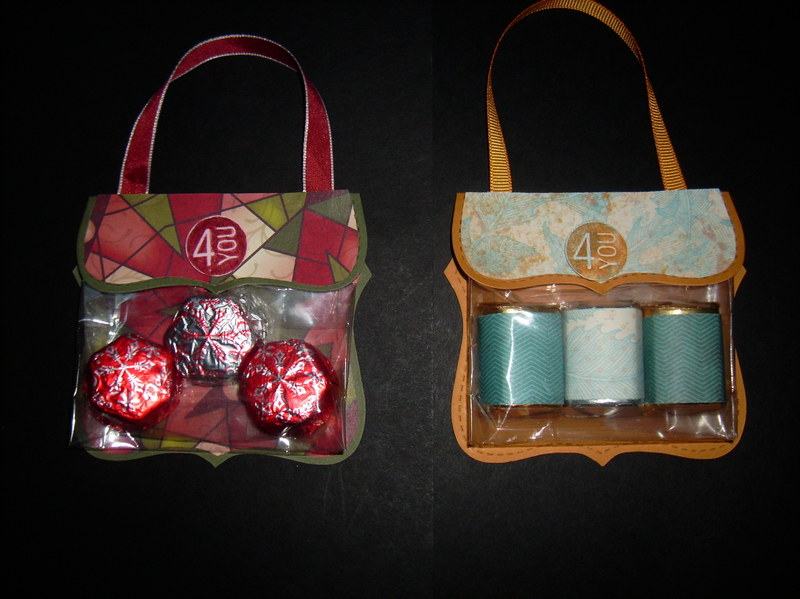 The red door card is a classic Cammie creation and she has done it in 2 styles. My card is the got merry cookiesheet using the brushed silver paper to create the cookie sheet and then I stamped and cut out the gingerbread man from the Got Treats stamp #120627 and finally Lori Hostik is debuting on the blog with her darling office treats. She made the gingerbread man from the fancy flower punch #118073 and the two tags die #115954. If it were not for the Pilgrims landing on Plymouth Rock we would not be celebrating Thanksgiving. 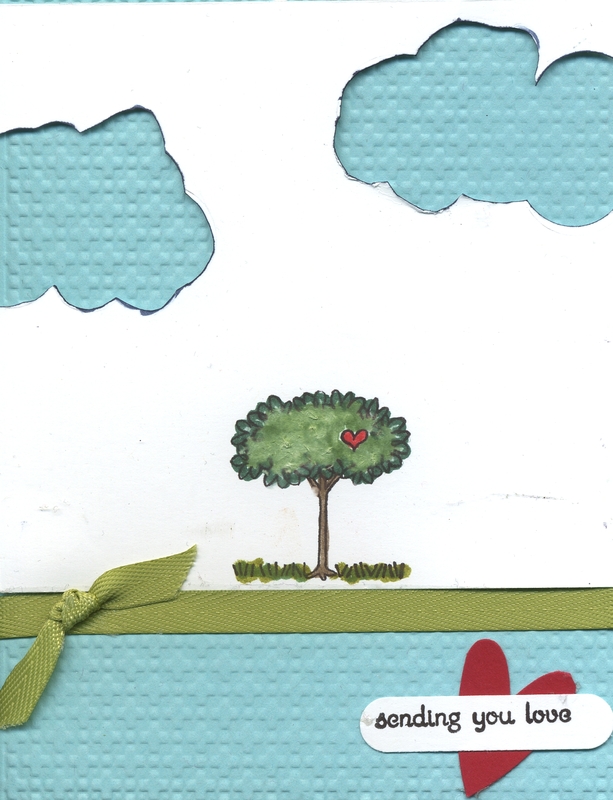 So today I want to thank the Pilgrims with this adorable card and special offer. The pilgrim card base is Stampin Up basic black cardstock textured with lattice embossing folder #110076. Collar is done using the Scallop square Big Z die #115950. Added a belt buckle using brushed silver cardstock and the 1 3/8 inch square punch #119877 and then added Black 1 1/4 square punch#119865. Finish by adding a organza bow at the neck. 3sisters2stamp is having a black Friday special. By placing your Stampinup online order through Cammie’s DBWS site: http://cameronclement.stampinup.net you will receive a a special thank you gift and you will be able to take advantage of Stampin Up’s online extravaganza with the lowest prices on select StampinUp items.